Meenakshi is an Indian Actress and Anchor, who is working in Tamil television industry. She was born on 11th April in Madurai, Tamil Nadu. Meenakshi made her acting debut in the Tamil television serial “Deiveegam” along with Nathan Shyam, directed by R Thiyagarajan. 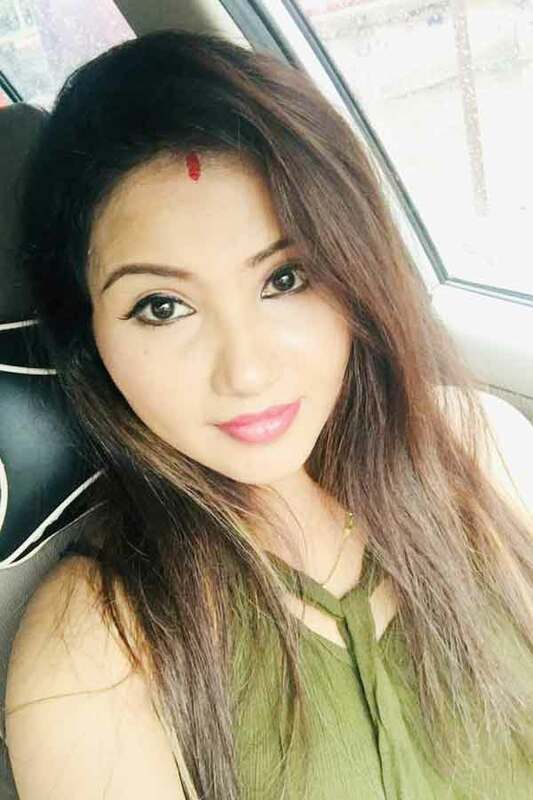 She also acted with well-known actors like Shreekumar, Vishwa, Yuvanraj Nethran, Naveen and Amit Bhargav. 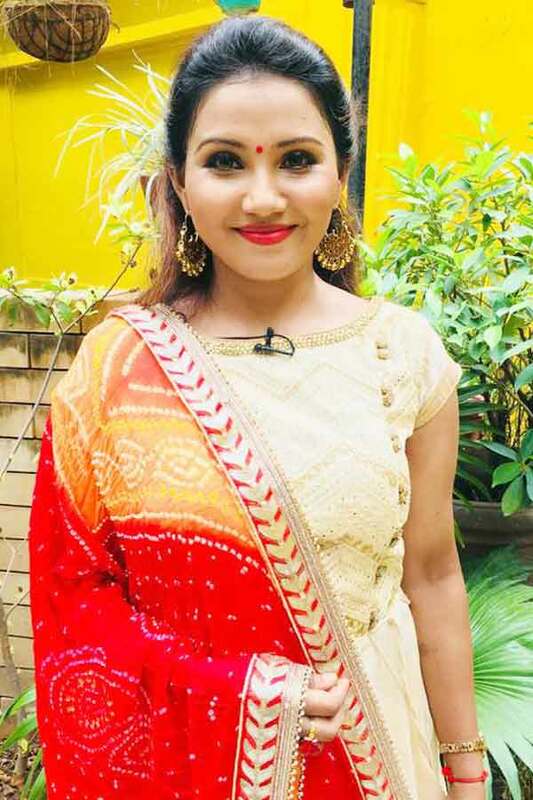 She has appeared in some well known serials such as Bommalattam, Azhagi, Puguntha Veedu, Devathai and Sivasankari. 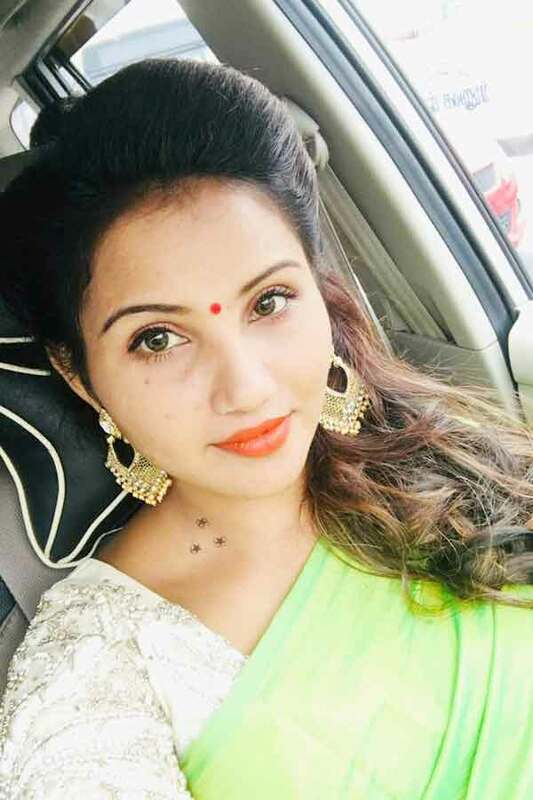 Meenakshi currently doing the supporting role in Nenjam Marappathillai serial along with Nesan in Vijay TV and Mahalakshmi serial along with Vallab in Sun TV. 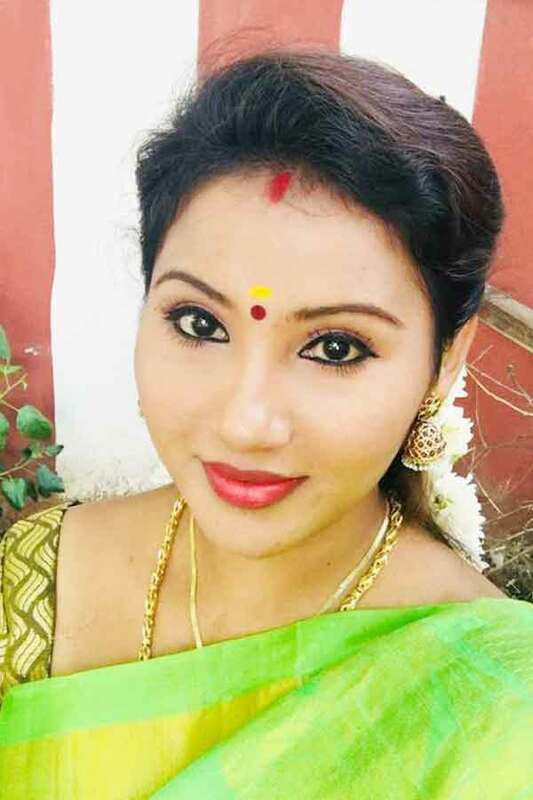 Meenakshi as Madhavi role in Ninaika Therintha Manamae serial. 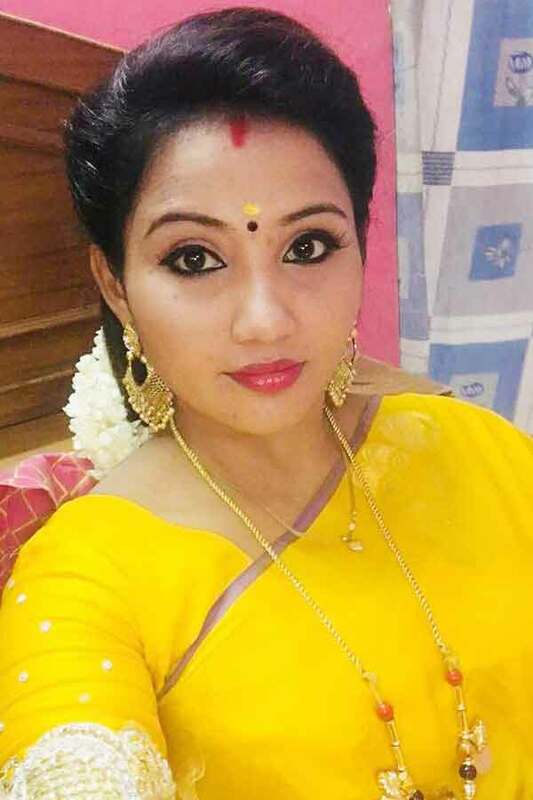 Meenakshi as Pavun role in Nenjam Marappathillai serial. Ninaika Therintha Manamae, Tamil Kadavul Murugan, En Iniya Thozhiye, Sivasankari, Neeli, Deiveegam, Ganga, Devathai, Puguntha Veedu, Romapuri Pandian, Ponnunjal, Azhagi, Bommalattam, Bhairavi Aavigalukku Priyamanaval, Thagaval Neram, Pengal.Com, Magalirkkaga, Vadaamalar, Rusikkalam Vanga, Nenjam Marappathillai, Mahalakshmi.